Bursting with Reiki facts this A-Z of Reiki Pocketbook is compact, easy to use, up-to-date and professionally researched. 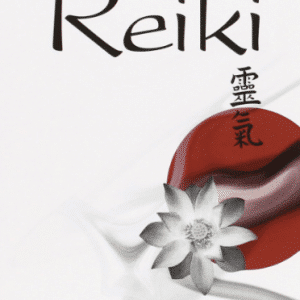 Find the answers to all your questions about Reiki, and historical and modern day Reiki practices with this handy Reiki compendium. 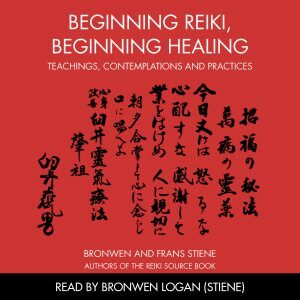 Bronwen and Frans Stiene, authors of The Reiki Sourcebook and The Japanese Art of Reiki, continue their quest to inform and educate the world about the spiritual healing practice of Reiki. Written by Bronwen & Frans Stiene of the International House of Reiki. 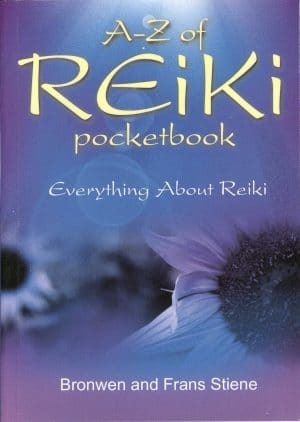 Published by O Books, 2006.
Who is the A-Z of Reiki Pocketbook for? Reiki teachers and practitioners. Those wanting to keep up to date with the latest Reiki information in a handy pocketsize book. Beginners or those who’ve lost touch with what they were once taught. Someone wanting to find out about Reiki. What it is, where it has come from and where it is today in a small book that has it all. Readers of The Reiki Sourcebook. Easy to carry around. Easy to read with the A-Z format! Readers of The Japanese Art of Reiki. 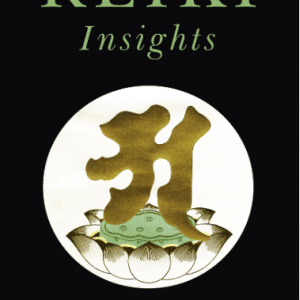 Excellent companion to The Japanese Art of Reiki for those wanting factual Reiki information about the non-Japanese aspects of the system. Clear, concise, informative and easy to use, A to Z Reiki is a valuable reference book for every Reiki practitioner’s library. I simply treasure this simple, yet comprehensive A-Z Reiki pocketbook, and I will keep it handy. A-Z of Reiki, the latest work by Bronwen and Frans Stiene, is an all-encompassing and expansive glossary of Reiki and Japanese healing. 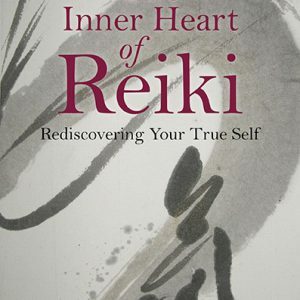 This book helps clear the way for everyone to partake of Reiki. My copy of this little pocketbook is already looking a bit dog-eared because I’ve been flipping through it a lot. Fortunately, it seems to be of very sturdy construction, so it can probably stand to be thumbed through frequently for years to come. Most any Reiki term you might think of can be found in this book, along with some you’ve never even heard of or imagined. People, techniques, Reiki terminology in both Japanese and English, Reiki styles and organizations, as the cover states: “Everything About Reiki” has been crammed into this tiny 254-page portable reference book. This 272-page trade softcover book is a portable dictionary of terminology one is likely to encounter in the practice of Reiki. The authors include both traditional Japanese ideas as well as non-traditional Western additions. There’s just enough information in each entry to prompt the memory or get an informed answer, yet the information is succinctly presented. There are some spiffy black and white photos and drawings to illustrate some of the points. Great to see some photos of Reiki and related practices from the 1930s! I’ve been keeping this pocketbook by my side while teaching Reiki classes so that students can hear/read that what I’ve been saying can be found somewhere in writing. Helpful to Reiki practitioners of all levels and “schools”. The A-Z of Reiki Pocketbook from International House of Reiki on Vimeo.